Do you know what your Klout score is? Are you curious about how much online influence you have? I have been working with the most popular social networks for many years. I have over 1200 contacts across Facebook, LinkedIn and Twitter. I consider myself somewhat of an expert on social media and technology, but I was curious how I stacked up against my peers. Klout is a social scoring system designed to track a person’s activity on social media sites to find out how influential they are. The analysis is executed using data taken from sites such as Twitter and LinkedIn (Facebook is coming soon), and measures the size of a person’s network, the content created and how other people interact with that content. 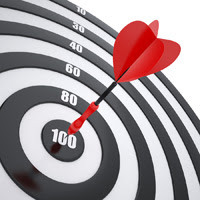 Those who sign up for Klout or are connected to those who do are each given a “Klout score” that ranges from one to 100, with higher scores corresponding to a greater strength of their online influence. Klout happens to one of the more popular sites, but there are many others including Kred, Peer Index, EmpireAvenue and more. So if you are curious like me, then try one of these sites to see what your score is. I spent the past few years asking myself if I should choose to blog or not to blog. I did create a simple blog for sharing family photos, and that was fun. Unfortunately, this site was rarely updated and was really only meant for family. I then started to fully engage with social media using Facebook, LinkedIn, and Twitter. I realized that I was sharing a lot of content that I found on blogs. I was finding that many of the people in my network had created bogs and were writing their own content. 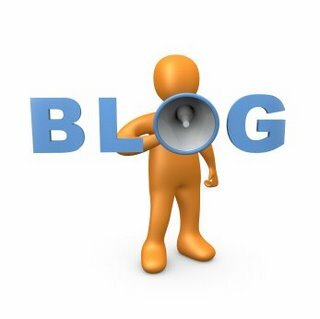 Blogs are another great way to share information, but unlike social media sites, the information stays on the site can be viewed and shared anytime. Most companies have their own blog for sharing information and getting feedback from customers. That is the big difference between websites and blogs, visitors can post comments and share their own information. Google has a great solution called Blogger, that can help you create a blog in minutes. I was also able to register a domain with Go Daddy, for $10.00 a year using the blogger interface. There are other great blogging tools out there, including WordPress and Tumblr. So if you enjoy writing and have a specific topic or group, then try setting up your own blog. Here are a few helpful tips to get you started. The idea behind Pinterest is that you can create "pinboards" which are nothing more than categories, to which you can then "pin" images that you find online or via other Pinterest users. Pinterest also has some components of social interaction, as you can follow other users, or just specific boards they create. 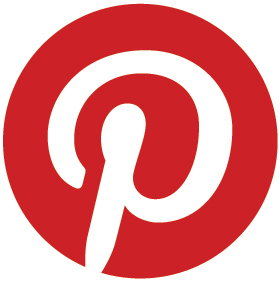 Users can easily add content they find on the web using Pinterest's bookmark bar button. Pintertest is an interesting way to explore the web visually based on interests. It also is a great way for you to share more content, and we all know that content is king.